Designed to easily slide between the print and the print bed to remove the freshly printed model without damage. 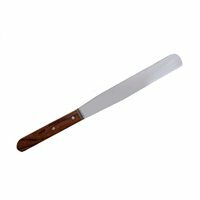 This tool measures a full 11.25" in length and features a flexible yet strong tapered end steel blade and comfortable wooden handle. This is a precision tool that you will be proud to have sitting next to your printer.